Much of what is covered below you will not see on a standard tour of China, as most hotels, restaurants and tourist attractions are run as businesses, and therefore function as service providers, with their own policies and regulations for good business, rather than as culturally motivated Chinese hosts. 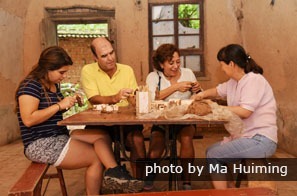 However, if you travel with China Highlights, some destinations offer you the chance to visit a Chinese family, and then you may experience the full range of customary Chinese hospitality (see below). In the West the guest tries to respect the ways of the host. However, in China the guest is treated with great kindness and respect by the host and guests are encouraged to do what they like! For example it is rude to smoke in a Westerner’s home without asking and it is usually not allowed if the hosts are non-smokers. In China it would be considered rude to refuse someone to smoke in your house or hotel room or train compartment. Fortunately there are regulations restricting smoking in some places like trains and some buses. The word “friend” is used much more liberally in China than in the West. On the first meeting Chinese will often refer to someone as their “friend” if they wish the relationship to develop, or something beneficial to come out of the acquaintance. This will seem to someone from the West to be rather premature. A Chinese person may deliberately go out to make friends with a Westerner to practice English, get help (useful relationships) in going to their country, or for getting business. 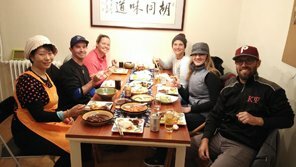 In the West selfish motives for starting friendships may be a big turn off, and often mean that what Westerners term as a “friendship” doesn&apos;t develop. However, networking and building relationships is a key part of progressing in life and doing business in China. 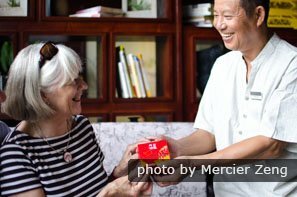 This means that a Chinese person sometimes plays the role of the generous friendly host in a situation that would not culturally require host-like actions, in order to gain future benefits from the relationship. See more on Doing Business in China Using Relationships. Those visitors (with a Caucasian appearance particularly) will be seen as guests to the nation of China as a whole, and therefore any Chinese citizen may feel obliged to behave like a host. For example seats may be offered to a perfectly able traveler by a less able Chinese person acting as a host. Chinese hospitality consists of keeping the guest occupied. Visitors are usually shown a lot of sights, taken out to a lot of meals, offered a lot of food and drinks, and entertained with polite conversation or the television. The Western sense of independence is a foreign thing in China, and the host will feel obliged to give the guest a full program of activities. 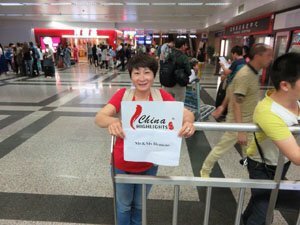 At China Highlights we want your time to be arranged as you would like. All our tours can be customized to your own pace, and free time can be built into any itinerary. When booking a tour, let our travel advisors know your requirements, and you will not be obliged to stick to the advertised itinerary. 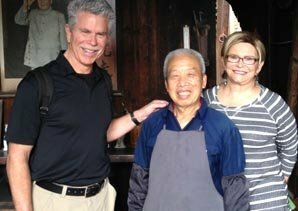 Discover the China Highlights difference — see Why Choose Us. In China, either the host or the guest or both may give gifts, and the value of a gift is often governed by the price. In the West people don’t want to advertise how much a gift cost. The value is in the thought, the time or the sentimental quality of the gift. However, in China, leaving the price tag on is not carelessness, but a deliberate act in many cases to demonstrate the value of the gift. 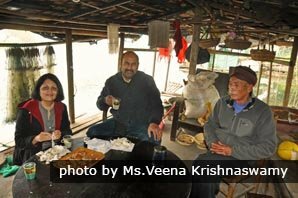 In China, refusing something, whether it is being accompanied to the bus stop, a seat or another dish of food, is merely considered a politeness — a sign of not being greedy or not wanting to put the host to any trouble. Whether what is offered is wanted or not the guest would still be expected to refuse once or twice at least. Whatever is being offered will be usually be made available at least two or three times before a refusal is considered serious. Bigger is also seen as better, more as superior, so hosts particularly may feel obliged to offer guests more than they can eat or even carry in order to display the required level of generosity. A repeated refusal may be a relief to the host sometimes, but acceptance of a generous gift on the other hand an honor, and a symbol of a good relationship. You will probably think that Chinese number beliefs etc. are superstitious. However Chinese hosts may go to some trouble to consider them. For example, the number four is considered bad luck, because when pronounced in Chinese it has the same pinyin (ignoring tones) as the word for death. So it would not be good to put guests in a room with 4 in the number. Some hotels don’t have a fourth floor or a room number 4 — the numbering goes straight from 3 to 5! Chinese like even numbers (except those ending in 4), so gifts (e.g. pieces of fruit) will often be given in twos, sixes, eights or tens, etc. The number six has the same pronunciation (ignoring tones) as the word for flow, which can mean ‘things go smoothly’, hence it is considered lucky. 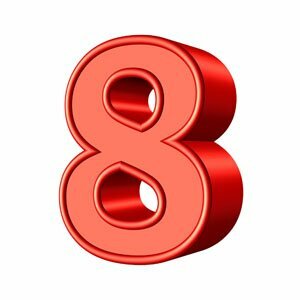 The number eight has a pronunciation (ba) similar to that for become (fa) as in ‘to become rich’, so eight is considered very lucky. As a gesture of blessing the host may put you in a room with a 6 or 8 in the number. Continue to read Chinese lucky numbers and colors. China Highlights do not consider number customs in accommodating our customers, but if you have any preferences let us know and we will do our best to find a suitable room number, etc. In China there are very different concepts of personal space than those in the West. The host will stand closer to, sit closer to and walk in closer proximity to the guest than in the West. In the West a decent amount of personal space might be a square meter (square yard). In China a reasonable bodily separation may be virtually nonexistent. Therefore there is no “excuse me” or tap on the shoulder given when reaching across someone’s place at a table or pushing past on a crowded street. The host in China will also often help to carry things. This may go against a Western sense of independence, where one carries one’s own bags. In China it is seen as natural to work together and cooperate to make a task easier. Sometimes the host will offer to help carrying something by making it an act of teamwork, e.g. the host holds one handle of the bag and the guest holds the other! 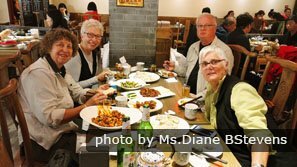 Guides assigned to our guests have been instructed that they may have to behave differently as hosts to what Chinese customs would require. Help will be offered to you and any refusal will be accepted first time. It is customary in China to see guests off. This goes far beyond the front door! Guests will often not only be accompanied to the street, but also have the host hanging around with them until a taxi or other transport arrives. If the guest leaves by train, the host will not only see the visitor to the station, but also wait on the platform until the train leaves. It is not seen as a waste of time, but a duty of the host. This may be awkward for Western visitors, who are accustomed to saying “goodbye” at the door or parting company when minimal inconvenience is caused to the host. Our guides are trained to leave and let customers go on their way when requested. 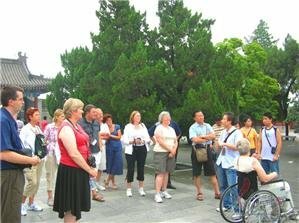 Our tours offer many opportunities to be a guest: for example visiting a family in Tibet or on a Yangshuo Countryside Cycling Tour. Alternatively contact us for a tailor-made experience of China&apos;s hospitaity.